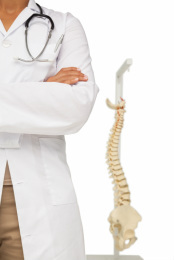 Chiropractic care at Ocean Springs Chiropractic is not simply an adjustment. We utilize cervical and lumbar spinal decompression, physical therapy modalities, and active care rehabilitation exercise to help resolve your specific complaints. Chiropractic care offers a unique way to provide pain relief for many types of pain and conditions, including back pain, neck pain, headaches, sciatica and more.